Are you looking for a way to showcase your fabulous dog product(s) to the right people? The WoofBox approach allows you to connect directly with consumers in a unique way. Dog-lovers are able to explore a variety of new and interesting products for their dogs, without leaving home. It’s simple. 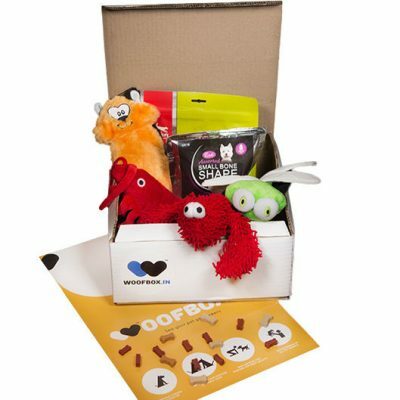 You provide us with sample or full-sized versions of your product, we pop them into WoofBoxes, then we ship them directly into the paws of dogs and the humans who love them. You may include promotional material and have the option to target your desired demographic based on location, age, or gender.